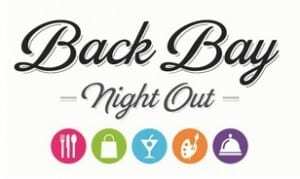 Back Bay Night Out on June 9, 2016! The popular Back Bay Night Out at the Prudential Center is now quarterly! Welcome summer at Back Bay Night Out on Thursday, June 9, 2016 from 5-8pm at Huntington Arcade in the Prudential Center and across the Back Bay. Back Bay Night out includes one night only shopping discounts across retailers of the Back Bay as well as a pop-up fashion show, free sips & snacks and more! For more information about Back Bay Night Out for Summer 2016, please head here. Have you been to a Back Bay Night Out before?